Between each layer of Cucumber put in the Bottle for the receipt (recipe), To pickle small Cucumbers which are delicious are various spices and herbs. The first is mace. Mace is the lacy aril layer around the nutmeg seed. On opening the outer shell of the nutmeg, the color of mace is red and then it dries to a golden hue. 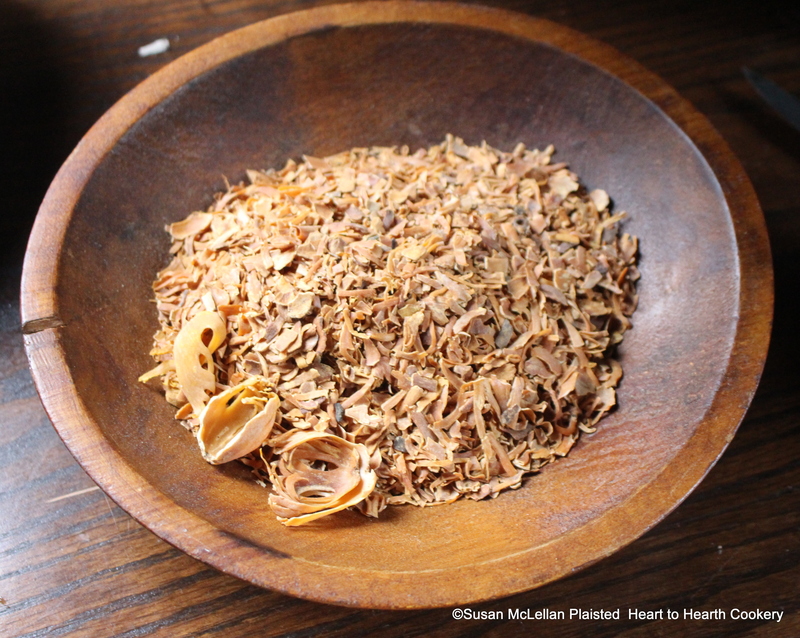 There are three whole blades of mace pictured in the bowl.